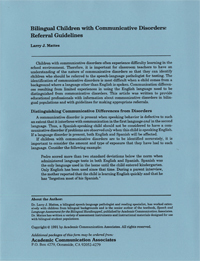 This four-page handout includes guidelines for distinguishing normal communicative differences from behaviors that may be indicative of a disorder. These guidelines can serve as a basis for teacher in-service programs. Thirty copies of the form are included.